I just finished designing, 3D printing, and painting my new tap handles. They hold 2x3.5 cards, that I make in GIMP, (Like Photoshop, only free) then 2D print on my inkjet, and laminate. If you have access to a 3D printer feel free to make a set, they’re posted online. 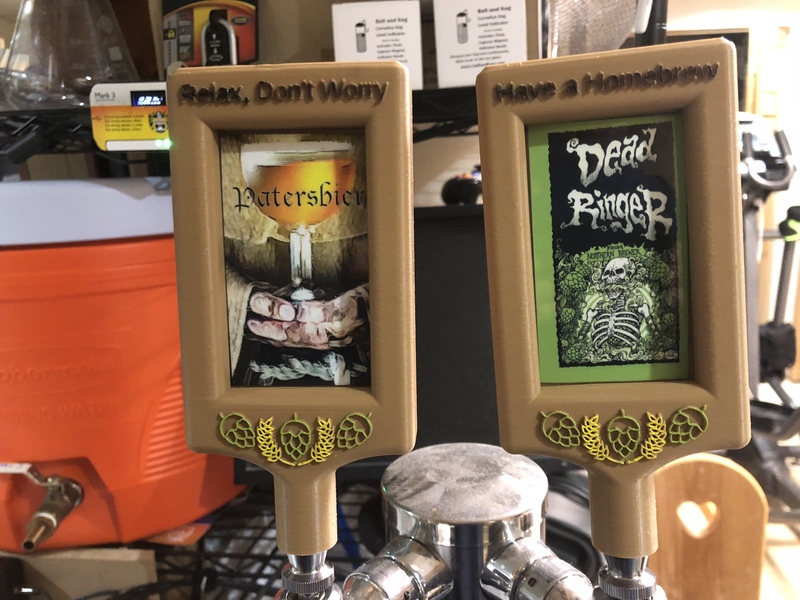 Dead Ringer is a regular favorite of mine, so I tried to give NB a little endorsement when I posted the design. Yes bravo! Nicely done. I wish I had a 3D printer. Maybe one of these days.